This Pignoli Italian Cookie Recipe is Fantastic! 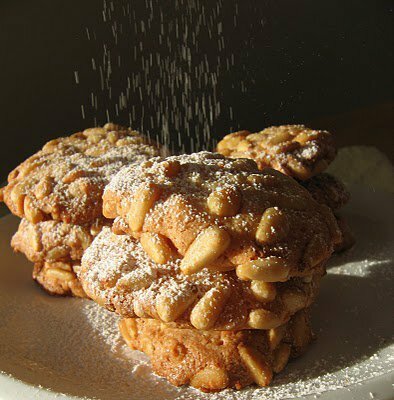 A quick recipe for one of my favorite Italian cookies … Pignoli! Heat oven 350F. Line baking sheets with parchment paper. In medium bowl, whisk flour with salt. Vanilla and lemon zest, and beat to combine. With mixer in low, gradually add the flour mixture. Place pine nuts in small bowl and the egg white in a second small bowl.